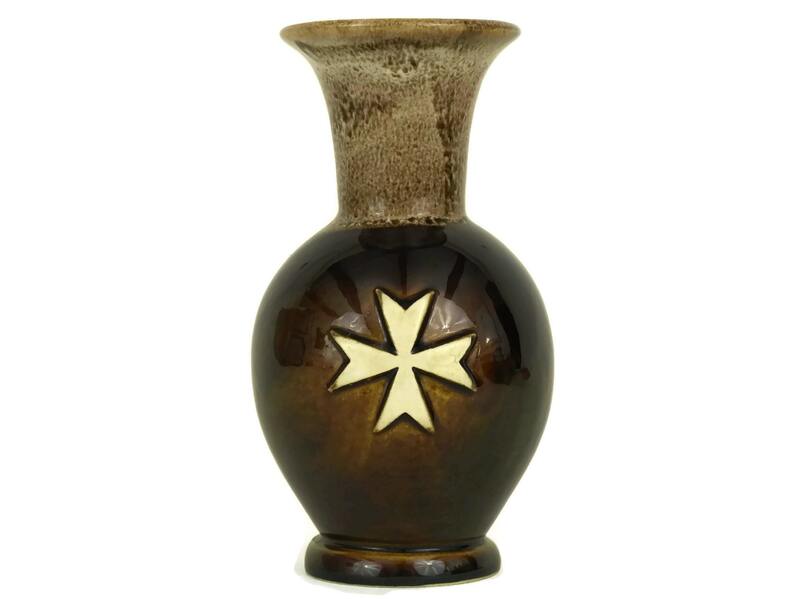 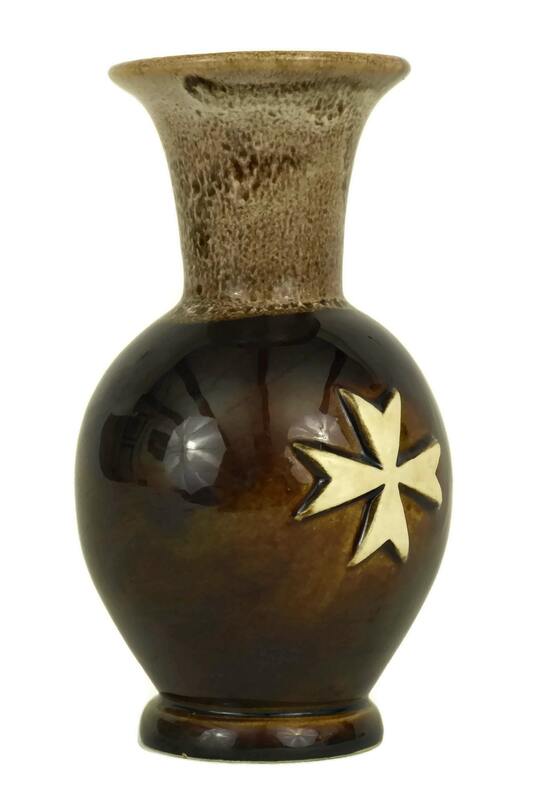 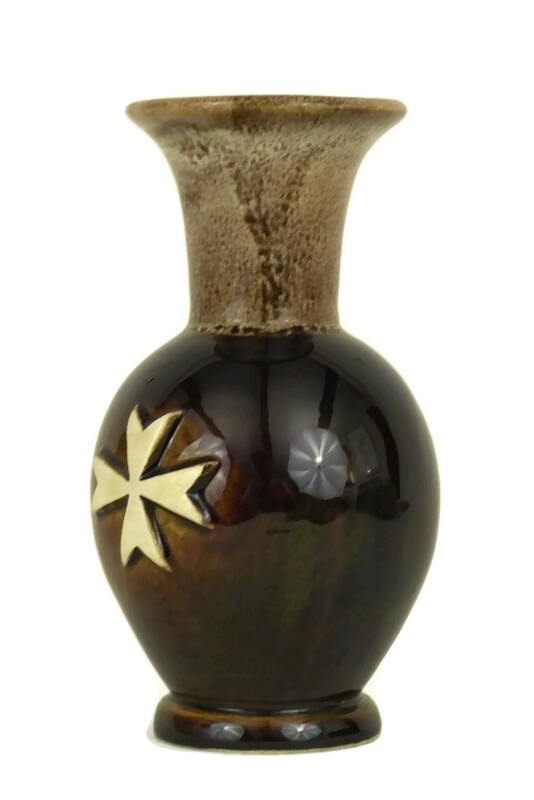 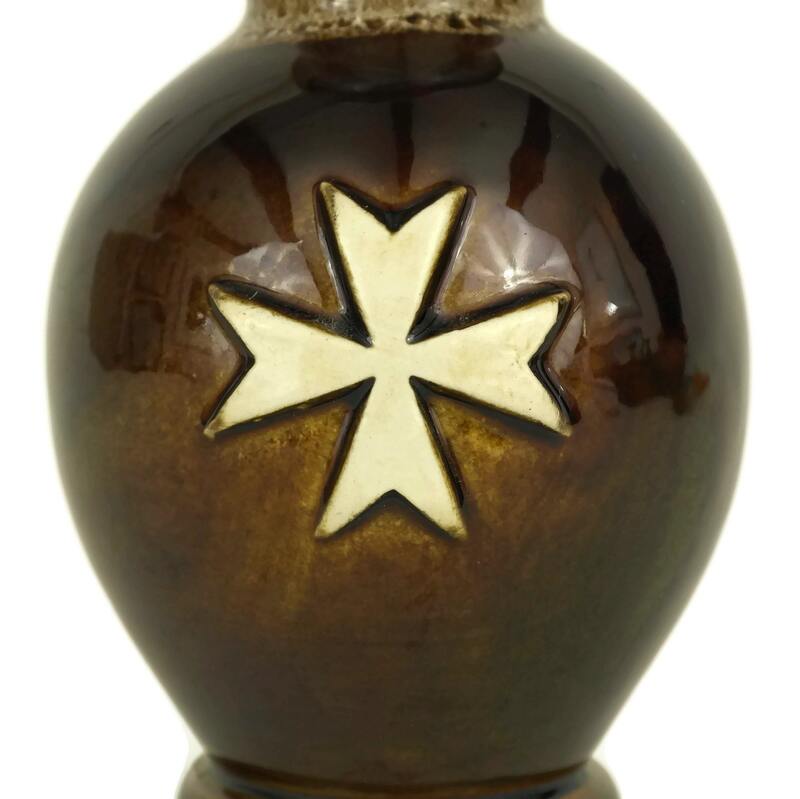 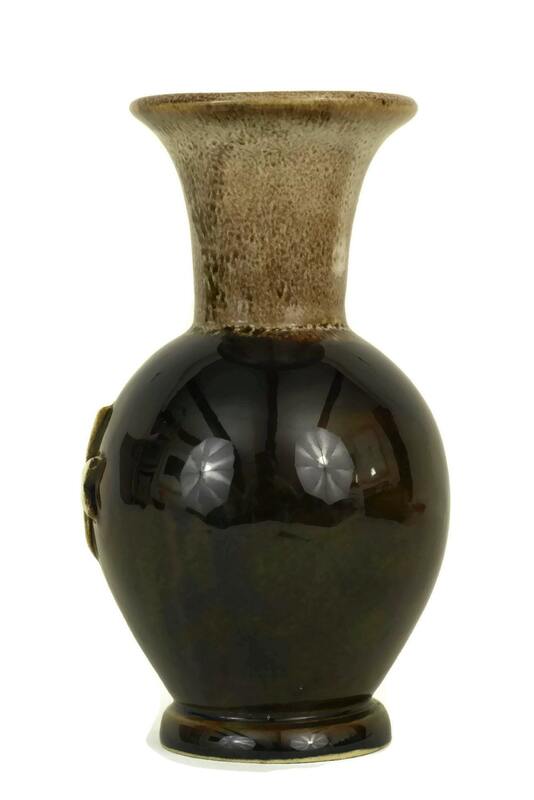 A vintage Maltese cross brown pottery vase created by the ceramic artist Peter The Potter from the island of Malta. 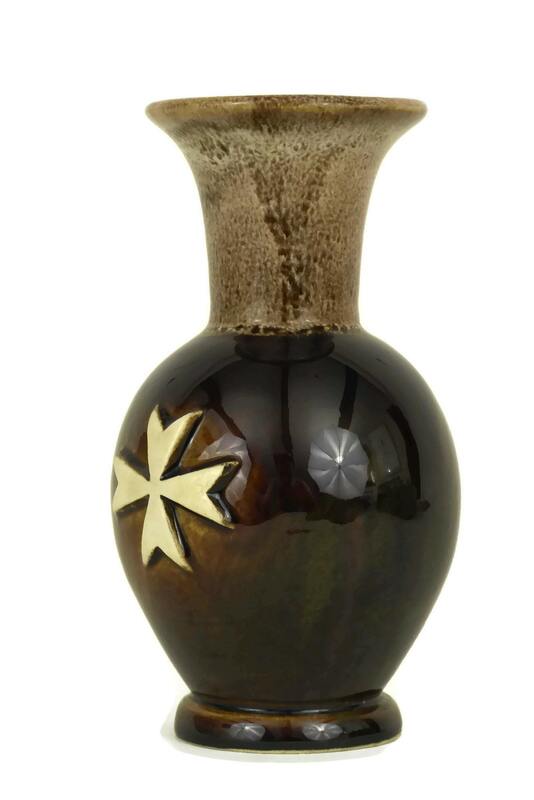 The small vase has a traditional baluster form with a slender neck and is the perfect size for holding a single flower stem. 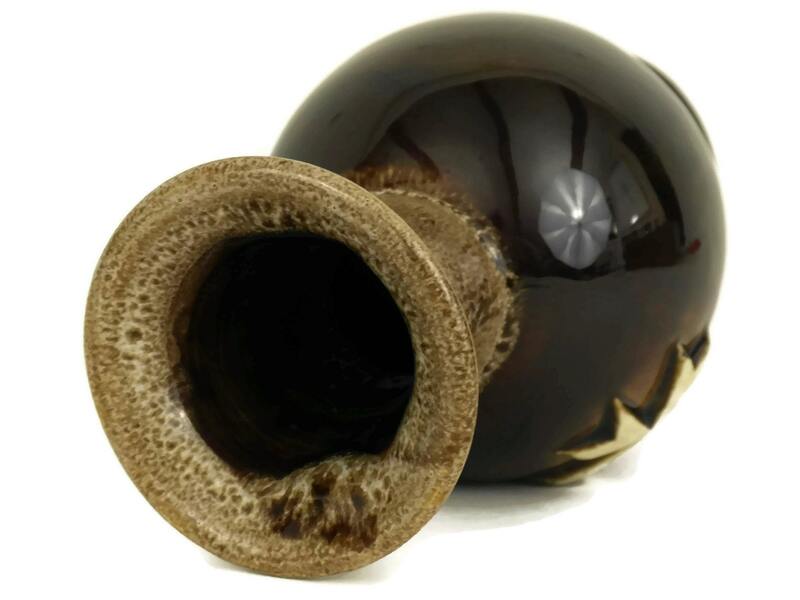 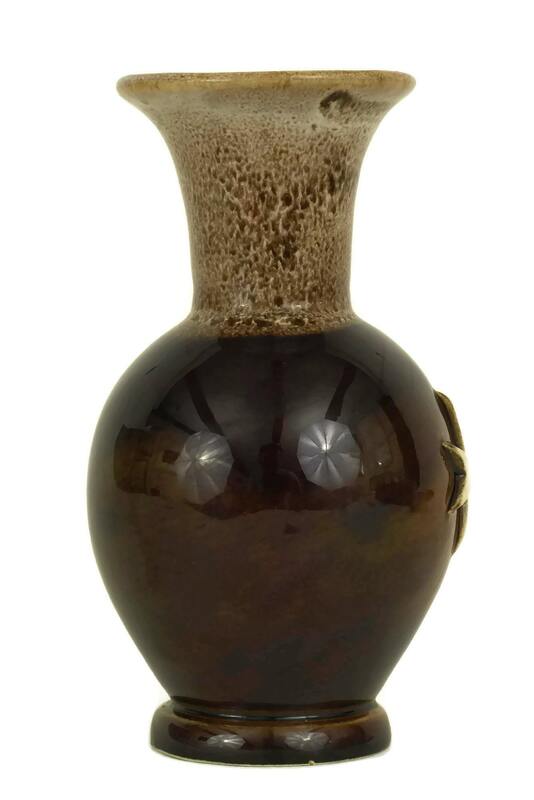 It has been richly glazed in shades of brown with a mottled effect around the top. 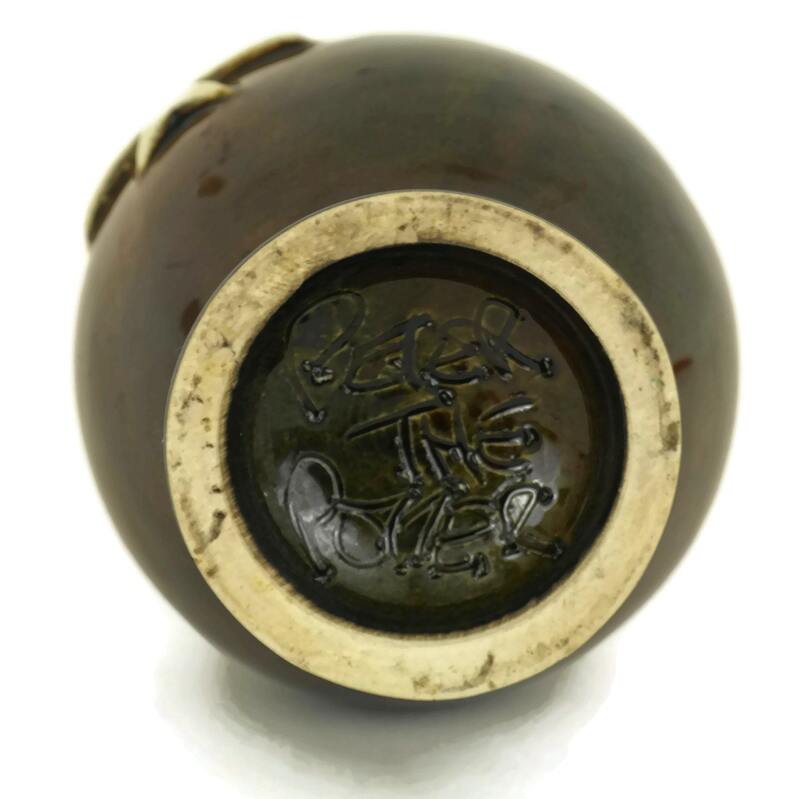 The underside has been signed by the artist. 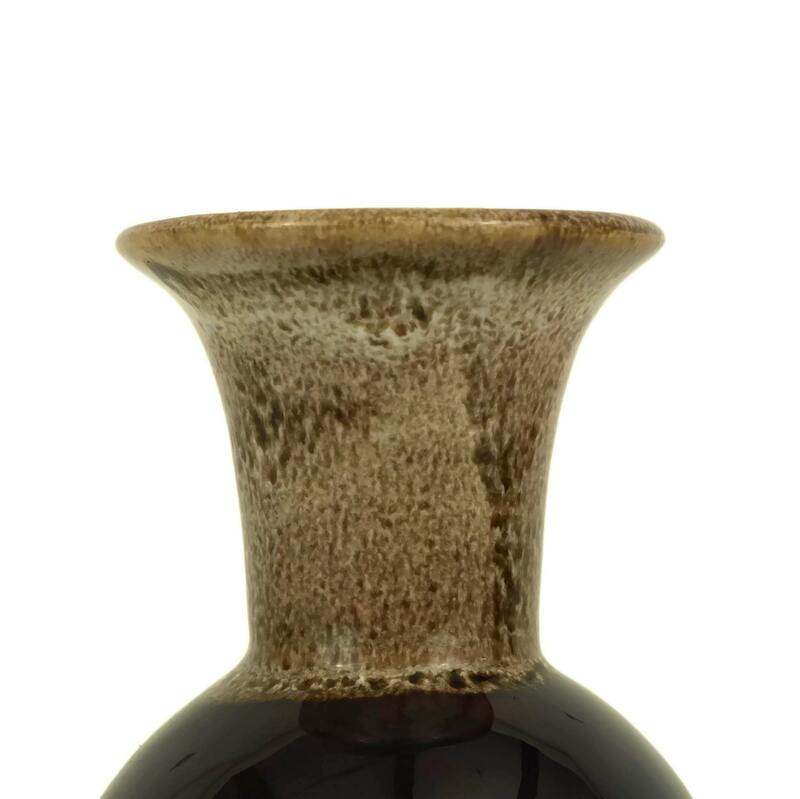 5" high x 2.5" in diameter (13 cm x 6 cm).